Like the look of a deal, but want to see if the network offers something even better? Or maybe you want to get a clearer picture of coverage, pricing and any customer incentives you’d benefit from if you join? Here, you can compare deals on a network-by-network basis. And to help you make the right decision, we outline everything that’s good and not-so-good about the UK’s major networks, too. O2 offers long-running customer reward schemes and money-off offers, as well as competitive tariffs. EE's network coverage is the most extensive in the UK, with 4G speeds up to five times faster than 3G. Three stands out for its comprehensive international roaming scheme, Go Roam, that allows you to use your phone in up to 60 locations for no extra charge. Available on select plans, Three's Go Binge scheme also lets you stream TV on Netflix and TV Player and music on Deezer without using your data allowance. Consistently rated among the best carriers for coverage, Vodafone also offers a choice of free streaming services and inclusive roaming on all plans. Taking over from LIFE Mobile, Plusnet uses EE’s extensive 4G coverage to offer competitively priced contracts that include capped data to avoid unexpected bills. giffgaff is rated by many as among the UK’s best value operators, with affordable pricing and flexible plans. BT offers a fast 4G service at discounted prices for broadband and TV customers and free live Premier League games on BT Sport. Virgin Mobile uses EE’s extensive 4G network and teams flexible tariffs with discounts for broadband and TV customers. iD Mobile stands out for competitively priced, flexible 4G contracts, with inclusive roaming in 52 locations and capped charges that prevent overspending. Lebara Mobile SIM only deals offer among the cheapest international and national calls and texts around. Its 3G service is based on Vodafone's network and provides comprehensive UK coverage. Tesco is the UK’s largest Mobile Virtual Network Operator. Customers get free Tesco Clubcard points and use of O2’s network. Sign up for a FreedomPop SIM and download the app for its VOIP service and you can get make calls and send texts over the internet for no extra charge. Available for iPhone and Android only. SMARTY is a SIM only network that's "built to be simple and honest". Its unique selling point is that it takes your unused data each month and turns it into a discount on your next bill. Aimed at users aged 25 or younger, Voxi’s flexible 30-day SIM-only deals let you switch plans easily. And you can use social media and messaging apps without using your data allowance. No credit checks. Compare our best Ecotalk SIM only deals, contracts and upgrades. Here's where you’ll find everything you need to know about Ecotalk. Orange is no longer accepting new customers and the Orange brand has been retired by its owner EE. With keenly priced call rates and a commitment to raising money for good causes, The People's Operator bills itself as a different kind of carrier. Mobile by Sainsbury's is no longer accepting new customers and the brand has been retired by its owner Sainsbury's. Sky Mobile SIM-only deals pair free data rollover with inclusive roaming in 36 locations in the EU and beyond. Flexible contracts allow customers to change their allowances to suit their usage. Billed as a ‘value network operator’, talkmobile subscribers benefit from well priced tariffs, UK-based customer support and 99% coverage. 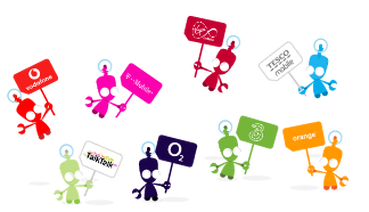 TalkTalk Mobile's major selling points are competitively priced flexible contacts. However, TalkTalk Mobile is only available to existing TalkTalk broadband and landline customers.